Note The BK-0010 was the first Soviet home computer. 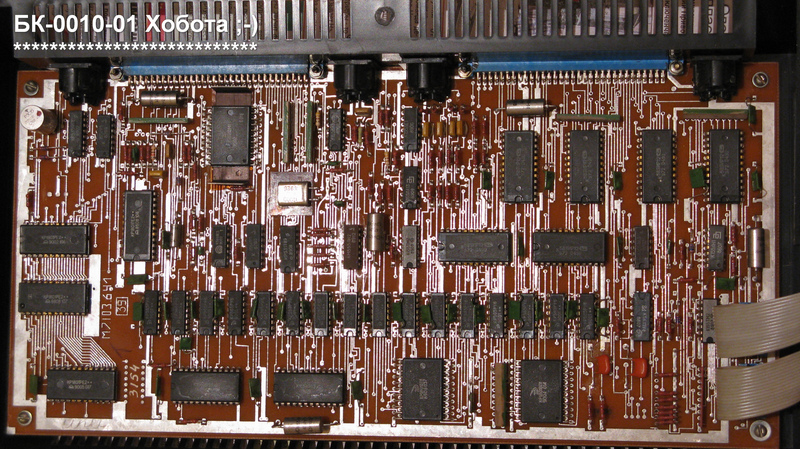 Their CPU is a powerful(for the time) 1801BM1, a 16bit DEC PDP-11 compatible processor. FOCAL: FOrmula CALculator is a language interpreted where the operators are single letters. Configurations 12Kb of the framebuffer (VRAM) could be used as RAM for programs. The keyboard is like the Sinclair ZX-81. Other languages are available on ROM's: Vilnius BASIC, Assembler,.. The Vilnius BASIC is a runtime compiler of BASIC made in the Baltic city of same name.